29th Tokyo International Film Festival | Enjoy the screening event free of charge in Roppongi Hills Arena. 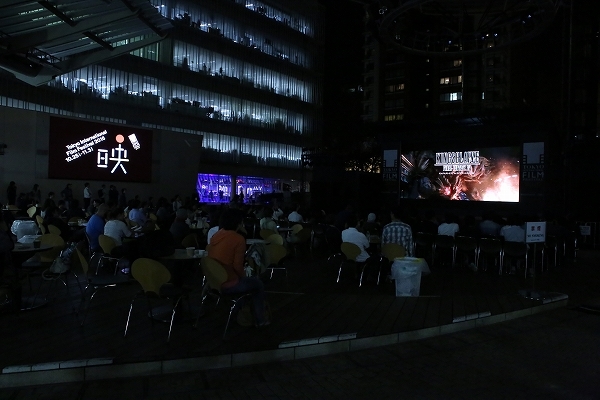 Enjoy the screening event free of charge in Roppongi Hills Arena. Autumn is certainly the season of cinema! The 29th Tokyo International Film Festival is held at TOHO Cinemas Roppongi Hills and EX Theater Roppongi from 10/25 (Tue) thru 11/3 (Thu). Roppongi Hills Arena which glamorous red carpet is rolled during the opening event will turn into the Open-Air Free of Charge Screening Event Venue! The dates will be from 10/26 (Wed) thru 10/30 (Sun) . Enjoy the masterpieces of the past as well as the new films all free of charge at the venue where giant screen is installed. The World Premiere of 4KHDR “Kingsglaive Final Fantasy XV” (English version). The special event is scheduled with the screening of Pokemón Sun and Pokemón Moon – Train on. Spend a nice time with your lover or family in the pleasant autumn climate. Dates: 10/26 (Wed) – 10/30 (Sun) Total of 5 days *The event will be postponed in the case of rain or stormy weather. 10/26 18:00 Kingsglaive Final Fantasy XV (English version/ 2016) 4KHDR World Premiere screening. Pokemón Sun and Pokemón Moon – Train on. 5 Pikachus will be present at the stage greeting, accompanied by dance performers. Submission films for 2017 Tokyo International Film Festival has been closed in July 14th, 2017. The 30th Tokyo International Film Festival official website is now OPEN! funds provided by Japan Keirin Association. Tokyo International Film Festival All Rights Reserved.